So the sun sets on another year at Mobile World Congress in Barcelona, and yet again wearable tech yielded the biggest talking points. 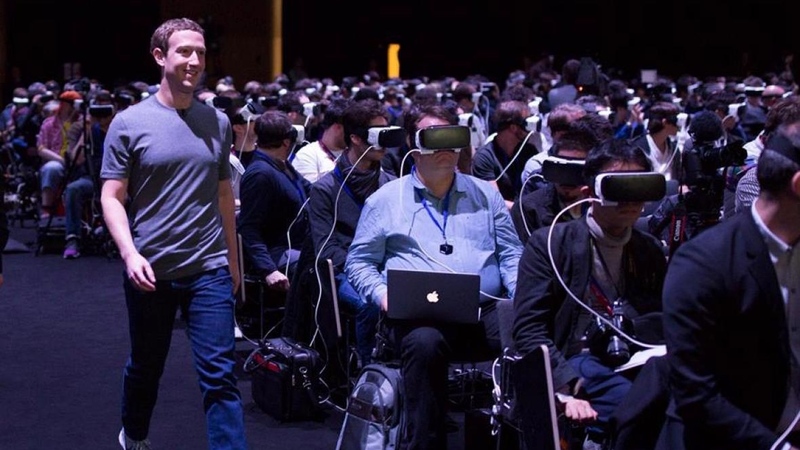 Sure, there's a new Samsung smartphone, which is probably great, but the enduring memory of the show will be Zuckerberg talking to a room of Gear VR clad journalists in a slightly dystopian vision of the future. Despite VR making the headlines the wrist wasn't forgotten, and while there wasn't an AAA brand smartwatch to get stuck into, a pair of new Garmin's were outed and yet another big name hearable. We run down our pick of the most interesting wearables from MWC 2016. Chinese firm ZTE with a smartwatch rocking a forked version of Android. That can't be good, right? Wrong. Completely ripping off the look and feel of Android Wear with its proprietary Tencent TOS+ operating system, the ZTE Axon Watch is responsive, boasts a lovely 400 x 400 1.4-inch screen and matches any mainstream smartwatch for build quality. A very pleasant surprise. Bold design is the headline feature of Garmin's latest fitness tracker, although it won't be to everyone's tastes. The moulded plastic is aggressively shaped and slightly chunky, hiding a small square screen among the swirls and contours. It tracks steps and sleep, will recognise a host of different activities and incorporates the Move bar to nudge you out of sedentary habits. Last year's Vivoactive brought a host of multisport tracking (from running and cycling to golf) to an every day smartwatch, and this year's update adds 24/7 heart rate monitoring to the mix. There's GPS on board and smartwatch style notifications, which makes it a powerful companion for anyone who loves to get sweaty, but it's still lacking in the looks department. Possibly the device we're most excited about in 2016, the HTC Vive virtual reality headset moved one big step closer to real reality at MWC 2016. HTC announced it's going to cost $799 ($200 more than Oculus) but by-and-large the specs and design have stayed the same. It's hitting pre-order on 29 February. Another Android rocking smartwatch unveiled at the show came from Haier – best known for making fridges. The stainless steel Haier Watch boasts a 400 x 400 1.4-inch display and a built in microphone for taking calls. It's set to cost just $200 when it launches later this year. Hearables are taking off, and at MWC Sony jumped on-board with the Xperia Ear. More than just a headset, it boasts a virtual assistant called Voice Agent to which you can issue commands and take calls. It boasts 3.5 hours of battery life and comes with a charging case for when you're not out and about. It's set to launch in summer 2016. Samsung's smashing it with its superb $99 Oculus powered Samsung Gear VR headset, and now it's offering users the chance to make content to watch on their headsets. The Samsung Gear 360 camera records, you guessed it, 360 footage to play back on your headset. What's more, memories can be shared to YouTube 360 and Facebook too, where it can be watched by mortals without personal VR headsets. The beauty of wearable tech is the new experiences and opportunities afforded by technology that sits on the body – and what embodies that more than the Estrus Detection System for Cattle by Fujitsu. The Japanese firm have created a weara-bull device that detects when cows are on heat (estimated by changes in their activity levels) and prompts farmers to send in the bulls.